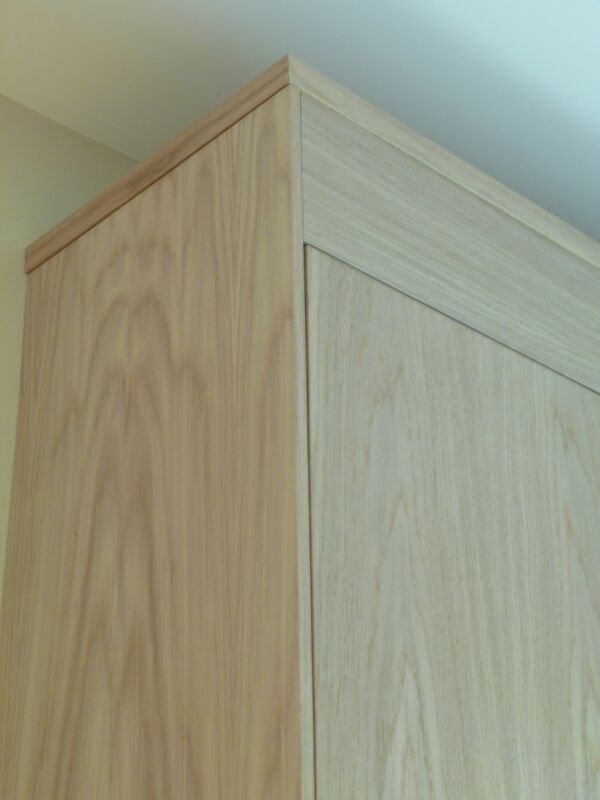 Push-to-open drawers (lower cabinetry). 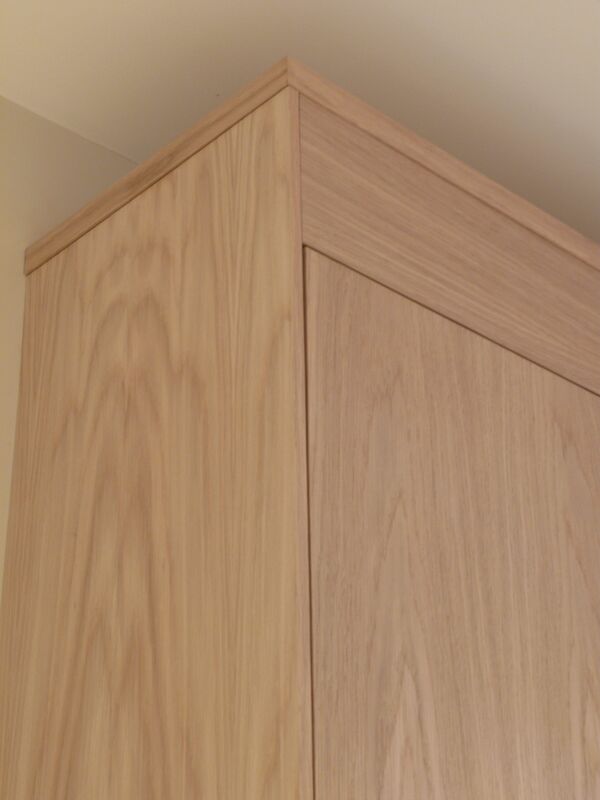 Soft-close upper cabinetry doors (pulled open on the bottom edge). 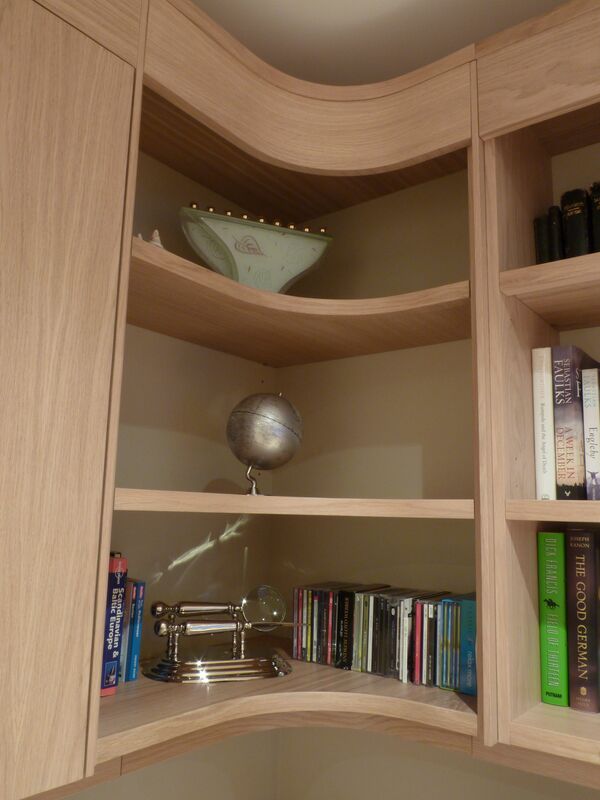 Curved corner cabinet showing painted back panels to match walls. 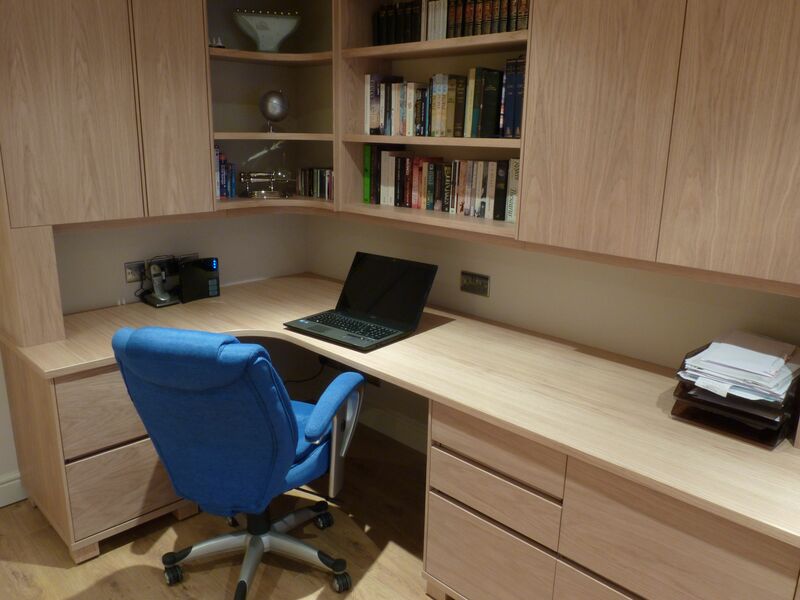 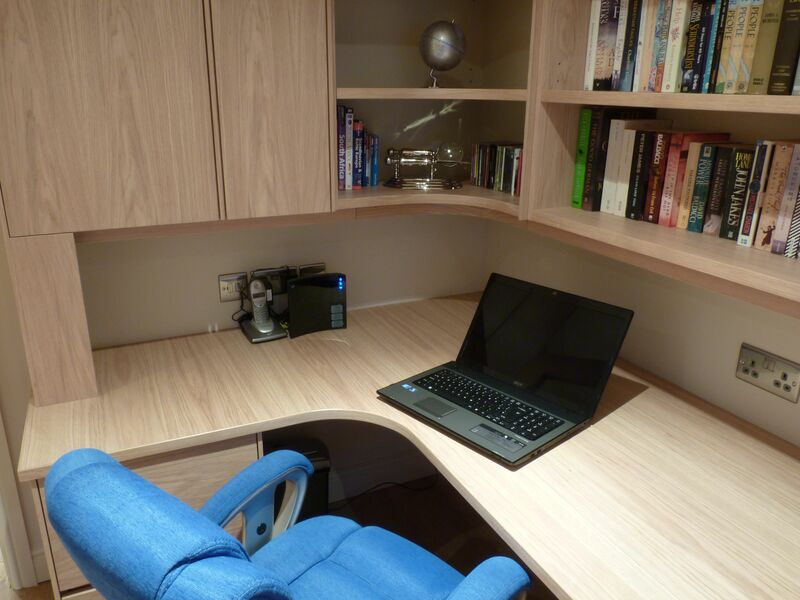 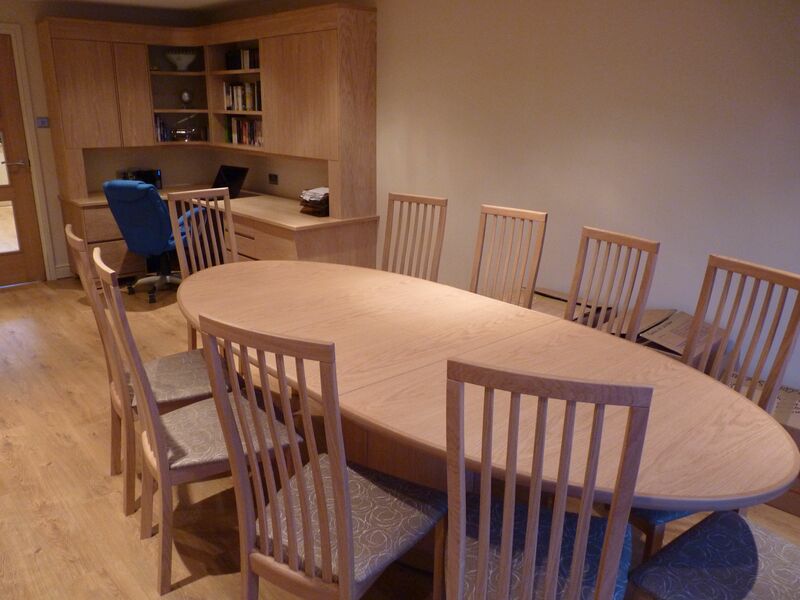 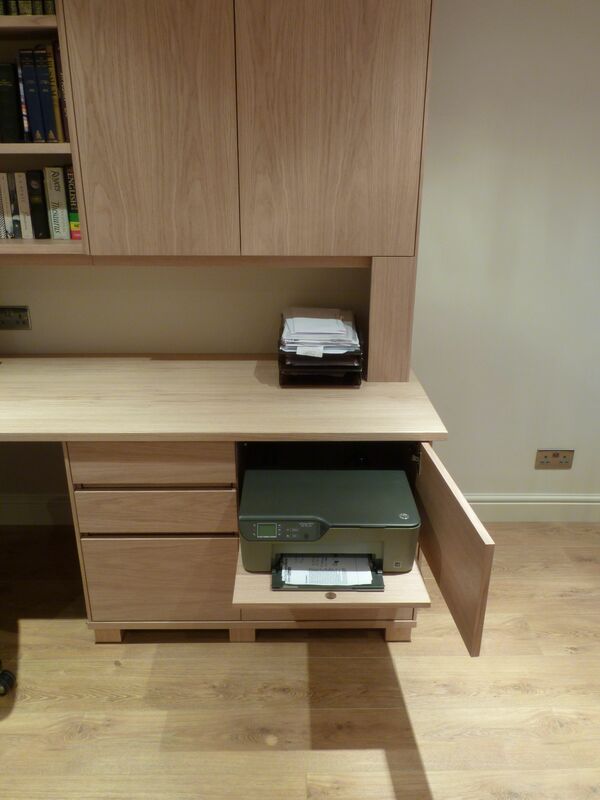 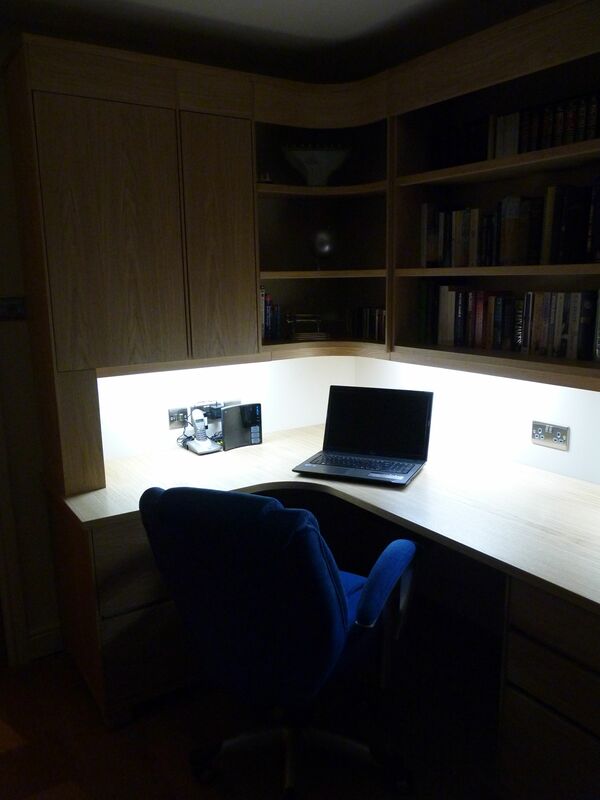 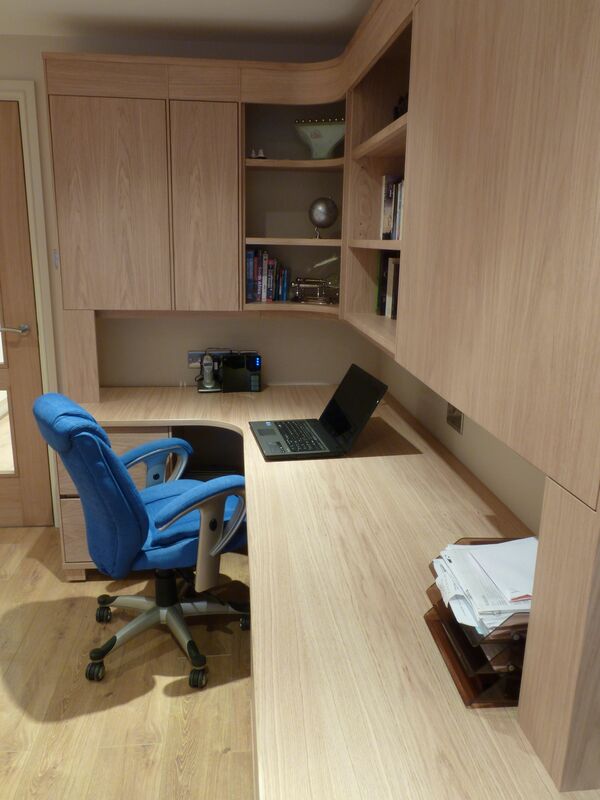 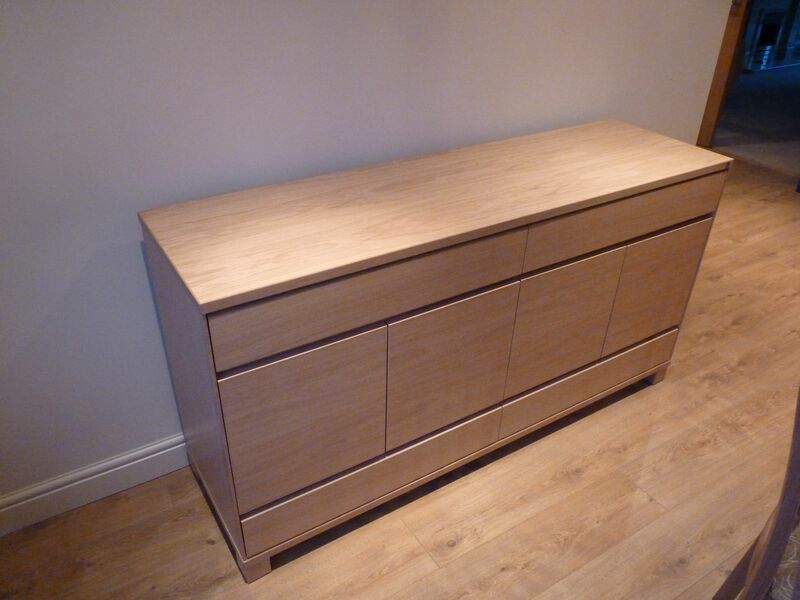 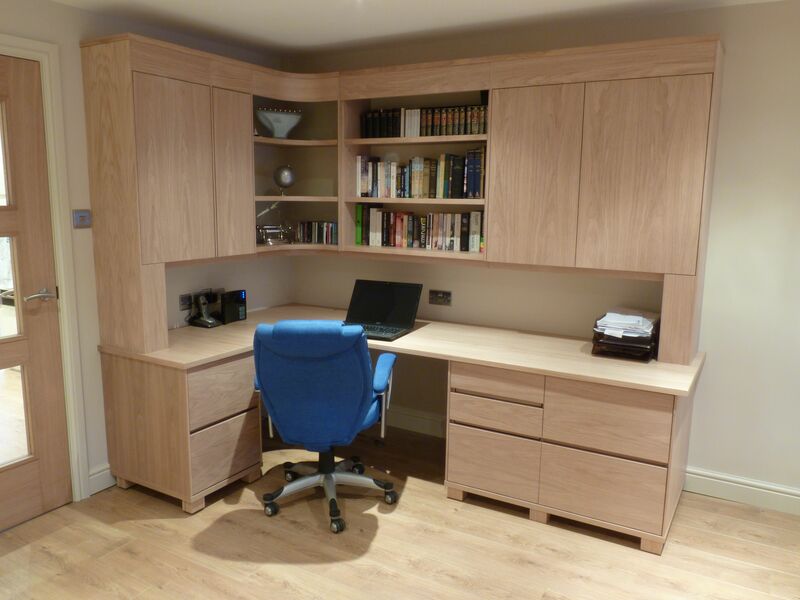 This entry was posted in Cabinetry and tagged european oak, office furniture.